Networking with other bloggers- why is it important? Networking with other bloggers also helps you to stay updated about the latest happenings in the world of blogging. Not just that, you can also make your online profile stronger, thereby helping you to monetize better. Having a well designed website or a well composed blog of your own and keeping it to yourself has never won viewers or clicks. What really matters is how this website or blog of yours is useful to others. Forming a mutually benefiting relationship is what successful blogging is all about. 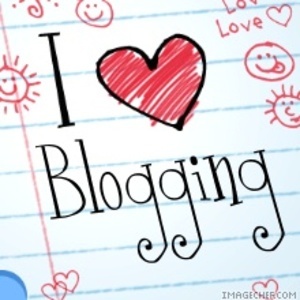 Forming a mutually benefiting relationship is what successful blogging is all about. With all that said, let us see how we can go about it, how can we network better and make new connections with other bloggers and authors. This is one of the best ways to grab attention for yourself and redirect it to your blog. Whenever you stumble upon any referrals from a site, be sure to respond to them. You never know who might be looking into them and how important that person may be. However, the traffic scale of the blog also matters, therefore be sure to link a blog that it closest to your own. This way of responding, helps more people looking into your blog and thus benefit from it. Remember, guest blogging is an opportunity to prove your skills as an effective blogger. Effective blogger is someone with very good language and an ability to write effectively. A good blogger must be able to expresses their view better. You should attempt guest blogging only if you’re confident about your quality writing abilities, else a poor post could do more damage than not hav ing written any at all. 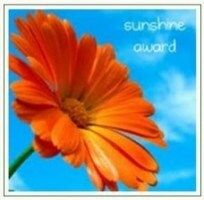 Quality, witty, well written and helpful posts attract long term friendships in the blogger’s world. Should your post be of help to anybody, then the purpose of posting it is served. It’s a give and take policy and more often than not, be sure to get your help rewarded. This is another sure shot way of getting noticed. Follow your favorite blogger on their networking sites, be it Facebook, Twitter, Google+ or any other for that matter, and be active! Merely following someone won’t get you the attention or the friendship that you seek. It needs patience and hard work. ‘Like’ or comment on their posts on Facebook and tweet and re tweet their tweets on Twitter. The more active you are the higher would be the chances of the blogger taking notice of you. Don’t let them forget you and with constant, continuous activity on these networking sites you can ensure just that. The easiest way to earn the respect of your favorite blogger is by being of help to him. Help him get more attention and clicks to his/her blog. By working in an intelligent and a positive way, you can make sure their site or blog becomes noticed. By making constructive, useful comments and by helping to negate the destructive or harmful comments, chances are high, that the blogger will notice you and who knows might even view you as their savior! This blogger would never ignore an email from you, because he now recognizes you. This way you can very tactfully build a constructive and a mutually benefiting relationship with other bloggers you admire. Lastly and most importantly, be genuine. Do not comment on blogs just for the heck of it. Make sure your posts have some meaning and quality to it. Avoid flattering which is the worst thing you could ever do a blogger. Bloggers are smart enough to see through your intentions when you flatter them and won’t ever take you seriously. Just like how all relationships work, be sincere, honest and respect the other person. Such people would be treasured forever. By being genuine, you’ll also earn the blogger’s respect in return. With these tips you are now ready to start networking, socializing on the web and building relationships that last a life time. Happy networking!